Muse of R-Kiem Seeds is a good selection of elite cuttings from Canada. His parents are OG Kush and Oregon Diesel. Thanks to its quality genetics, we will find plants that adapt quickly to the different climatologies, they have great vigor from the first day of life. Indoors, it's a variety that will become your favorite muse, ideal for cultivating with the SoG technique. If we put 16 plants per m2, we will get incredible results in terms of final weight, which can produce up to 500g with medium sized plants. 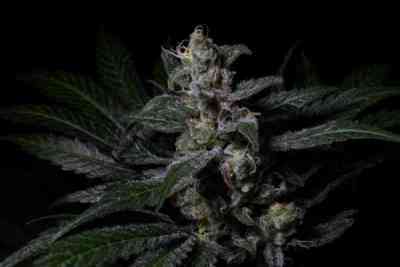 The buds end up being very compact and hard with a weight that will surprise you in just 8 to 9 weeks of flowering. Outside, the plants grow in the shape of a Christmas tree, with strong branches, short internodes and even between them. It is a plant that grows up to 2.5 m if planted without a pot, so that it can grow without brakes and harvest up to 700 g per plant. It ripens completely around mid-October. We recommend doing preventive treatments to avoid parasites or blooming fungi. Its flavor is strong and marked, leaving on the palate a spicy aroma of clove and black pepper. Its effect is very medicinal, good marijuana for all patients suffering from physical pain, has a high average content of CBD.